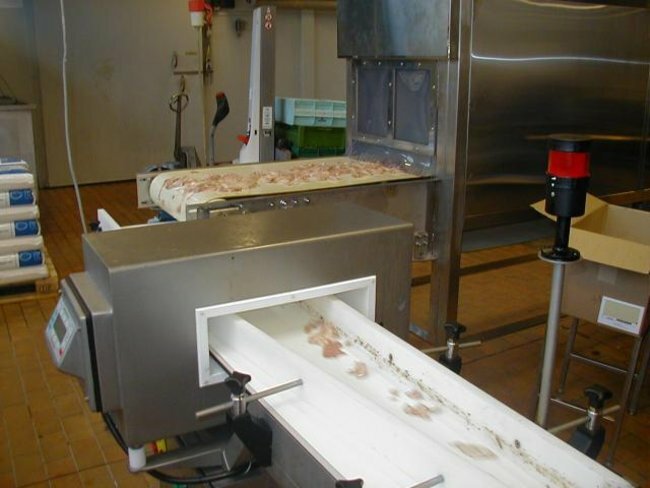 It is assigned to process thermally (smoking) fish liver. The basic construction idea was to construct an appliance for smoking a product in a very short processing time. In this case a traditional system of loading and reloading a smoking trolley is not useful due to preparation and finishing time. 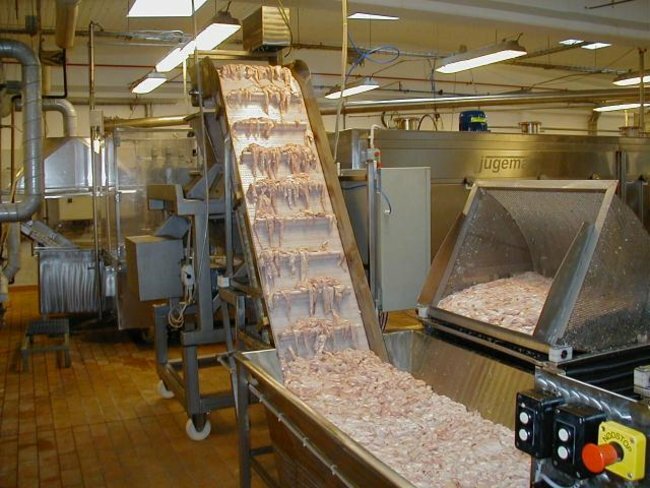 This type of a chamber is in the form of a tunnel where a product is transported on a belt conveyor. Thus, its construction is different in relation to a typical appliance produced by Jugema and it stems from a technological process which liver is subjected to in order to be smoked. Heating chamber - the first element of the tunnel. Smoking chamber takes up next two segments of the tunnel. All segments of this appliance are connected with each other by screws and the connection places are sealed. Each segment is equipped with height-adjusted legs, which are aimed at reducing floor unevenness. Belt conveyor is another element of the tunnel. 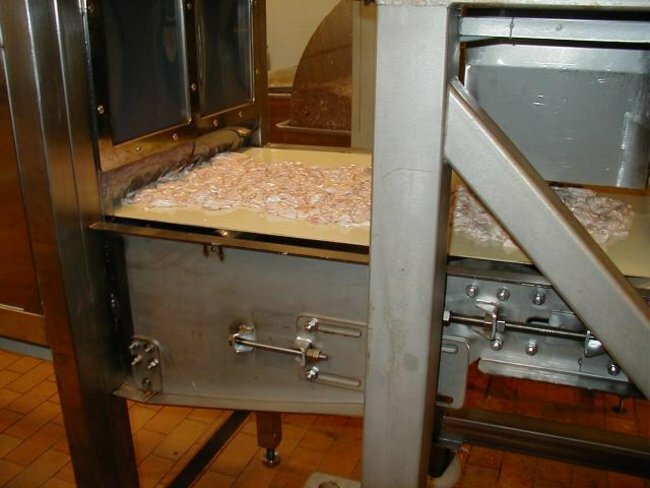 Its aim is to transport the product during the smoking process. Engine and a main ventilator where the ventilation task is to force air circulation. Smoke generator which is not built-in but installed next to the chamber. Its task is to generate smoke. Source of heat which is a set of electric heaters made from acid-proof steel. Extracting and ventilating system installed under the working chamber. Washing set. 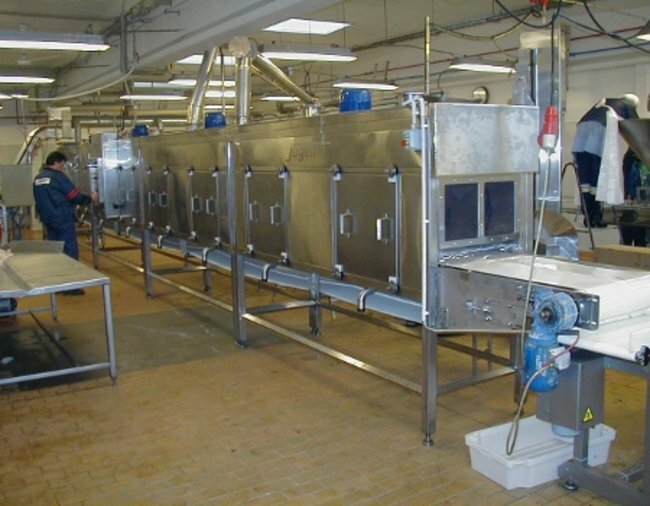 Both the tunnel and the suction conduits are equipped with containers for washing, a system of conduits distribution and spray nozzles.